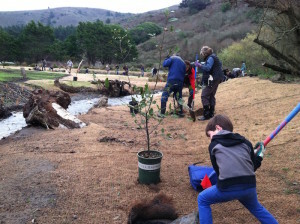 In December, Sustainable Conservation’s Senior Conservation Strategist Erik Schmidt, accompanied by his 6-year old son, and PlantRight Project Manager Greg Richardson journeyed out to the beautiful Green Gulch Farm and Zen Center in Marin County to help plant 90 alder trees across the newly restored portion of Green Gulch Creek that flows through the farm. 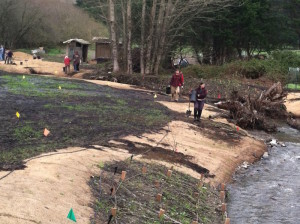 The volunteer event was part of an ongoing effort to restore and enhance the creek running the length of the farm and restore native riparian habitat for fish and wildlife, including endangered coho salmon and steelhead. These imperiled fish species have historically spawned, with the young maturing before heading out to sea, in Green Gulch Creek. Salmon and steelhead populations are in decline across California, mostly as a result of modified or destroyed stream and estuary habitat, as well as reduced stream flows. Degraded water quality, loss of native vegetation, increased stream temperatures and sediment levels, and diversion of crucial spring and summer stream flows have all contributed to the rapidly dwindling numbers of these native fish. 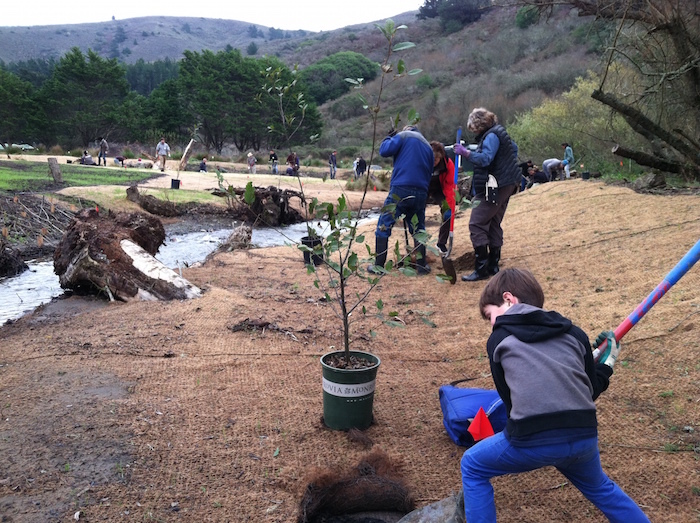 Ultimately, the Green Gulch Farm project will involve creating a meandering natural channel to replace a formerly narrow, straightened concrete sluiceway, planting thousands of native plants, install redwood logs and rootwads, and creating 1.5 acres of wetland and riparian habitat. Linking the restored Green Gulch Creek with the larger Redwood Creek – also restored recently in a high-profile National Park Service project – that empties into the Pacific Ocean will give coho salmon and steelhead improved spawning grounds, resting areas and juvenile rearing sites, while increasing the overall health of the riparian corridor. 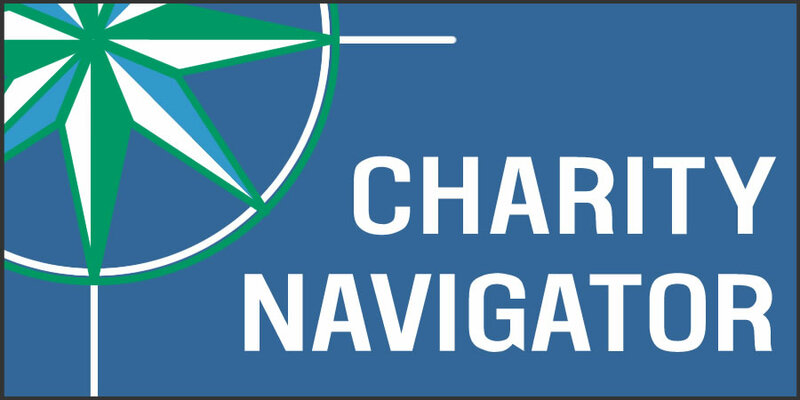 Historically, gaining approval to implement restoration projects like this has been complicated and expensive. Landowners have found themselves spending substantial amounts of money, applying to numerous agencies for permits and waiting a year or more for approval. 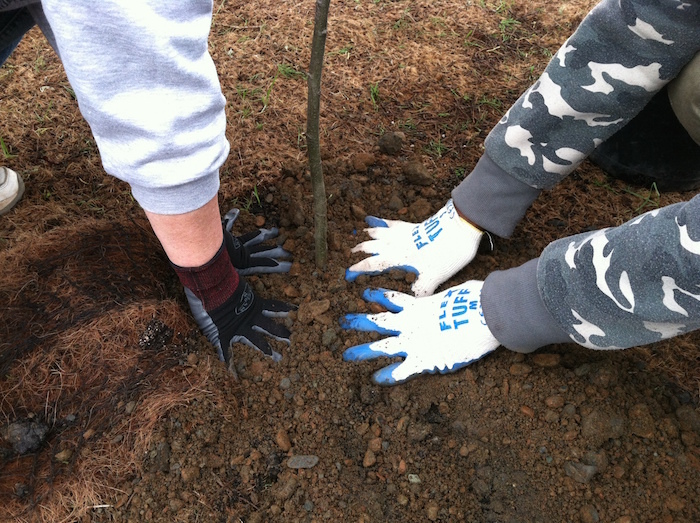 Fortunately, with Sustainable Conservation’s urging, in 2013 the California Coastal Commission – which oversees land use along California’s 1,000-mile coastline – approved a region-wide program to speed the implementation of voluntary habitat restoration projects in coastal areas, like the one at Green Gulch Farm. 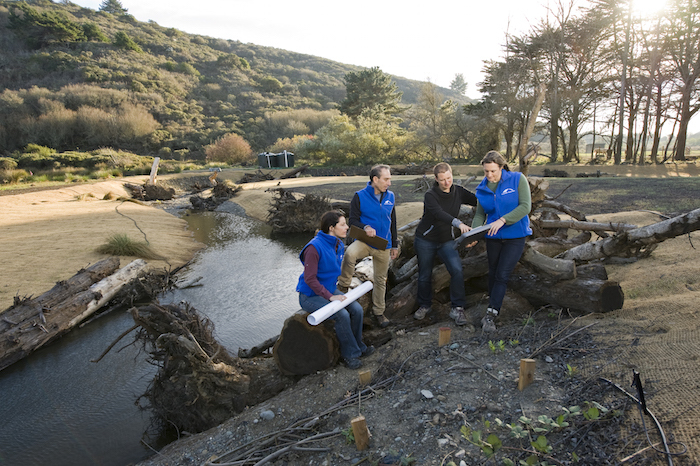 Our Simplified Permitting for Restoration program was integral to eliminating the need for coastal landowners like Green Gulch Farm to obtain individual Coastal Development permits from cities, counties or the Coastal Commission when working with the National Oceanic and Atmospheric Administration’s (NOAA) Restoration Center to restore habitat. 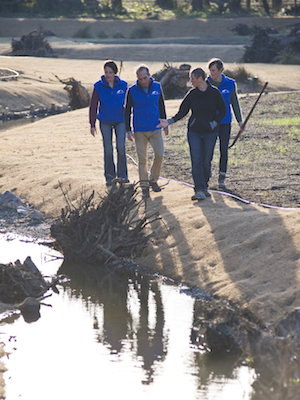 Sustainable Conservation is proud to have played a role in empowering Green Gulch Farm to more easily undertake the restoration efforts meant to provide habitat for iconic fish that have made coastal California their home for thousands of years. Make sure to stay updated about future Green Gulch Farm events and watch restoration in action by visiting Green Gulch’s blog.